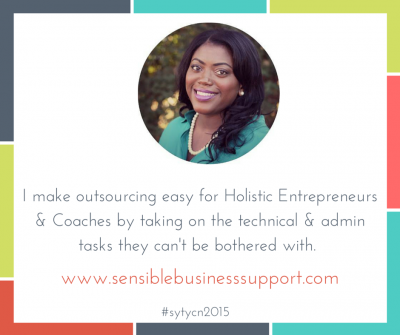 I make outsourcing easy for Holistic Entrepreneurs & Coaches by taking on the technical & admin tasks they can’t be bothered with. 10. I get it. It’s so clear. It addresses a problem that’s needed. I could see adding something like, “even if they think they can’t afford it.” Though it’s interesting. It has me wonder, what is the main issue stopping them from getting admin support? Is it that it’s confusing and too hard and they don’t know where to look? Or that they fear it will cost too much? And what are they wanting from it? I could see saying something like, “I help them grow their businesses faster than they could have imagined.” But, basically, this is totally clear. Jocelyn is my VA and she rocks it. I am so grateful for her services. 9/10: Love it! Clear, concise and somehow friendly. 9 because of Holistic Entrepreneurs. I like specifics. 10/10: Please help me! I think I need what you’ve got. 10/10: Wowza, I’m going to get on your list! 7/10: I love the feel of this! Beautiful you and a great service. What if you would replace “they can’t be bothered with” (which makes your statement end a bit negative) by what they explicitly gain from all that extra time? 10/10: Beautiful and really needed! 10/10: so clear. Once I get certain things lined up in my business, I want to work with you. Checked out your site. Love it and your style! Thanks so much for your feedback, Tad! I will work on incorporating some of your ideas!